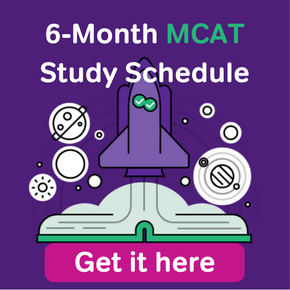 MCAT practice tests should be a cornerstone of your MCAT study plan, because they help you with timing, stamina, and give you a sense of what your actual score might be. Luckily, there are some pretty solid options available to you now. That’s great news! But how do you use these little nuggets of MCAT gold, and where can you find versions that are realistic yet affordable? Where can you find the best free MCAT practice tests? I compiled themes, sifted through dozens of new tests and pricing structures, and revisited MCAT practice tests from previous years to see if changes had been made. I hope you find this guide helpful! It contains my best advice on locating, using, and interpreting MCAT practice tests. An MCAT Diagnostic is any practice test that you take for the explicit purpose of predicting your score. So much goes into the supposing, extrapolations, and statistical gymnastics of score prediction. 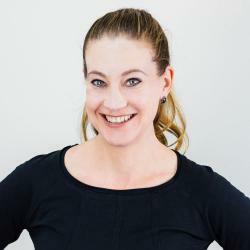 It’s a bit of an art form – a jigsaw puzzle for actuaries. Please, take it all with a grain of salt. On a practical level, a diagnostic lets you know areas of strength and weakness, helps you gauge timing and pace yourself (which is particularly important for the CARS section! ), and produces an estimated score for the real exam. As a measurement device, the MCAT scaled scoring system is imprecise. Each of the 4 MCAT sections presents 53-59 questions to answer, but there are only 15 options for scores (118-132, inclusive). And approximately 50-60% of students will receive 1 of 5 scores on each section (123-127, inclusive). If your combined score across sections is 502, you’re pretty darn close to the 50th percentile, give or take a few points. Average. But a score of 507 or 508 rapidly catapults you into the 75th percentile. CRAZY! Just 5 extra points on your MCAT score moves you up an entire quartile. And yet, the person in the 75th percentile answered about 20 more questions correctly than did the person in the 50th percentile. The MCAT scaled score is like a bathroom scale that reports weight in 5-pound increments. So, if you feel disappointed because your score has only climbed 2 points after months of studying, don’t be! Two points is a sizable leap. The best MCAT practice tests for score prediction are the two put out by the AAMC itself. They cost $35 each and are the only “official” diagnostic tests; therefore providing the best indication of what your score range will be. Prior to the big MCAT overhaul in 2015, the AAMC had many more practice tests, and hopefully they’ll ramp up their offerings in the years to come. Until then, MCAT students should use their two “real” practice exams wisely. Our advice is to use the two diagnostic exams as bookends. Take one AAMC exam early on and create a plan using the information from this first diagnostic. Then, about 1-2 weeks before the actual exam, take the second AAMC exam. Students that are near the end of their studies can use this information to ask themselves a very important question: am I ready to take the exam? If you recognize that you are insufficiently prepared, you may want to consider pushing back your test date or seeking additional resources. What About Free MCAT Practice Tests? Free MCAT practice tests are great for a few reasons. First of all, of course, they’re free! They also accustom you to the exam and introduce you to an array of test prep companies, which will help you get a sense of who and what you’re investing in before you make the decision to purchase full-length exams or entire courses. You can find MCAT practice exams in a variety of places. A number of companies offer abbreviated, free MCAT practice tests. Though their score predictions aren’t as accurate as the real AAMC diagnostics (which aren’t exceptionally accurate themselves), they will provide you with an indication of where your weaknesses are. Altius, NextStep, Kaplan, and GoldStandard all offer partial-length online practice exams for free. Princeton Review has one full-length free MCAT practice test. 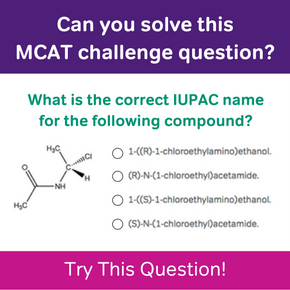 When I took it in 2016, I found some of their questions to be more “old MCAT” than “new MCAT”, and the CARS section wasn’t as difficult as the real MCAT, but it was still worth taking. The public library is one of the most overlooked study resources out there for MCAT resources. Oftentimes, libraries have the most popular test prep books on their shelves and most of these books come with access to question sets and full-length practice MCATs. The caveat is that these tests may only be available as hard copies. 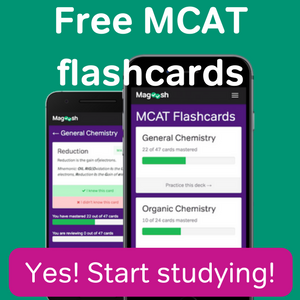 However, when your goal is to get in as much practice as possible, these are perfect for exposing yourself to the format, topics, and questions the real MCAT uses. Definitely take advantage of any and all resources on campus. Even if you’ve already graduated, chances are high that you’re still included among their student clientele. Many schools have clauses where they continue to counsel students for 1-2 years after graduation. If you graduated from a small school that doesn’t have a big pre-med focus, you might ask career counselors at neighboring universities if you can check out their library of resources. The worst that can happen is they say no! Sometimes test prep companies travel to university campuses and administer on-site, free MCAT exams to attract customers to their MCAT courses. The courses they want you to sign up for are extremely expensive, but the administered exams are free! It’s a great opportunity, because you’ll be taking it in an institutional environment surrounded by other students, which helps replicate the actual test-taking experience. Free MCAT practice exams are good for getting your feet wet, but students should use full-length exams to improve timing and stamina. These almost always come with a price tag, although there is tremendous variability in the cost. There are many different kinds of practice tests out there, and most test prep companies will offer a number of practice exams. The better ones are computerized, timed, and designed to replicate the breakdown of the exam, with 185 passage-based questions and 45 discrete questions. They should also have thorough answer explanations. It’s important to make sure that the resources you use are of high quality and reflect the content that you’ll see on Test Day. A few companies sell full-length practice tests as part of a package deal that includes in-person or online courses and study tools. The benefit of this is you get access to a bunch of resources and teachers, but the downside is the expense! Test companies that offer these bundles include Kaplan, The Princeton Review, The Berkeley Review, and NextStep. Prices range from $1,300-$9,000 for their most intensive course options. Most exams available for purchase are sold in this format. Many companies sell bundles of exams (3-10) for prices in the $100-$300 range. Examples include Examkrackers, Kaplan (exams are sold with a set of books), NextStep, Gold Standard, The Berkeley Review, and Altius. Some exams have time or usage limits, and others do not. Not many companies sell single exams, but some do. Ranging in price from $40-$50, students can now purchase single exams from Examkrackers, Altius, and Gold Standard. However, Examkrackers is the only company that allows you to purchase all of their exams a la carte. The other companies have a single version of an exam that can be purchased alone, and then the customer needs to buy a bundle to access the others. Our online premium course, launched in April 2017, includes over 300 video lessons. They cover all content areas, study and testing strategies, and short tutorials that “walk” students through sample passages. Students also get access to 3 full-length exams that can be taken a practice tests or split up as practice questions. Each question has a detailed explanation as to why each option (A-D) is correct or incorrect. We added 53 additional CARS questions and made sure users have unlimited email access to MCAT tutors. Best of all, we’re constantly adding to and replacing content according to student demand and feedback. The course is $129 for 6 months or $149 for 12 months, and you can start with a free trial to help gauge whether it’s the right program for you. How Often Should You Take MCAT Practice Tests? So, you’ve taken your first AAMC diagnostic exam, come up with a timeline and study schedule, and selected the practice tests you’ll be using throughout your weeks or months of MCAT studying. You may wonder how often you should take MCAT practice tests. The total number you take will depend on your timing and how many tests you have access to. As a general guideline, taking more than one per week is probably too many, but if you’re doing a lot of intensive studying in a short time, it might be appropriate. At a minimum, take one full-length practice test at the halfway point, and of course, bookend your studying with the AAMC exams. In our 2-month study schedule, I instruct students to take one AAMC diagnostic at the beginning, three Magoosh MCAT practice tests spread across six weeks, and take the other AAMC diagnostic the week before the actual exam. To summarize, take a minimum of two diagnostics and one extra test, aim for an ideal frequency of one practice test every other week, and set your maximum frequency to one practice test per week. Are Practice Tests Good for MCAT Score Prediction? Some MCAT practice exams, especially those that were created post-2015, don’t yet offer scaled scores. Why? The critical mass of students isn’t there, and each company is still trying to figure out what the AAMC is up to, so the practice exams don’t yet approximate the new exam. When testing companies do offer scaled scores, they’re often using their own pool of test-takers to calculate medians and quartiles. As you might imagine, each test prep company attracts distinct groups of students who might deviate from the norm in particular ways. If the testing company is meticulous with the scoring metrics, and most are, they will throw out any test data that comes from a student’s 2nd or 3rd attempt at a particular test. But test prep companies can’t control for other variables, such as students not taking a practice test seriously, rushing through due to boredom. Companies also can’t prevent tutors and teachers taking the tests to better prepare their students, and in the process, contaminating the data. Years ago, I tutored middle schoolers applying to private high schools (the ISEE – I’m sure some of you remember it well!). I took some of the online practice tests that were available through a practice test company, not realizing that I was contributing to a very warped portrait of 8th graders’ projected performances. A student of mine scored in the 15th percentile on a diagnostic, and 3 weeks later, she scored in the 75th percentile on the actual exam! In the MCAT world, I haven’t come across a test prep company whose scores suffer from such a huge degree of error, thankfully. The good news about this “skew” is that most students do better on the real MCAT than they do on practice exams. A little “most”, not a lot “most”. In other words, there are still tons of students who score lower on the actual MCAT than on practice tests. The exceptions to this “skews hard” trend are the AAMC practice tests. Their questions are hard, but their scores don’t skew hard in such consistent ways. I say this with some hesitation, because the MCAT is administered about 25 times per year, and the AAMC’s practice exams predict scores for some of their exams better than they do for others. Take home message? High Variability = Low Predictive Value. If an MCAT practice test doesn’t offer scaled scores, here’s my advice: aim for raw scores above 42 for the science sections (71% correct) and above 36 for CARS (68% correct). Based on all the MCAT practice tests we’ve taken and analyzed, scores in these ranges will place you solidly above the median. It would be more transparent if the MCAT simply reported raw scores and percentiles, but that’s not how it’s done. They have their scaled score system, and the scores don’t provide very detailed information, since each “point” contains a swath of raw scores. Many of you reading this will already be above the “Magic 42/36” marks. So, should you aim for 45 per section? 50? In this instance, establish and track your baseline and performance company-by-company. Don’t gauge your performance by comparing scores across companies, because there will be too much variability. Not only does each test prep company attract a unique set of students, but the exams they create are at varying levels of difficulty. On one test section, you might answer 45 of 59 questions correctly and place in the 75th percentile. But on another test, a raw score of 45 out of 59 could translate closer to the 85th percentile. If your scores have crept up over time and you’re at or near your target score, then you can enter exam day with confidence! For those of you that decide you are ready, make sure to check out our last minute study tips.